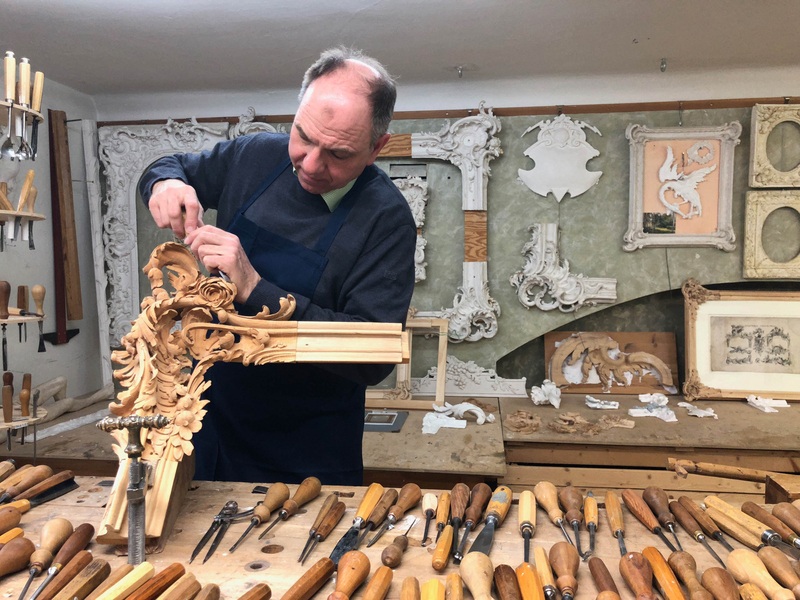 As a freelance wood sculptor, Bernhard Lankers works in all areas of historical reconstruction and conservation, with a focus on interior decorative schemes and carved wooden frames. 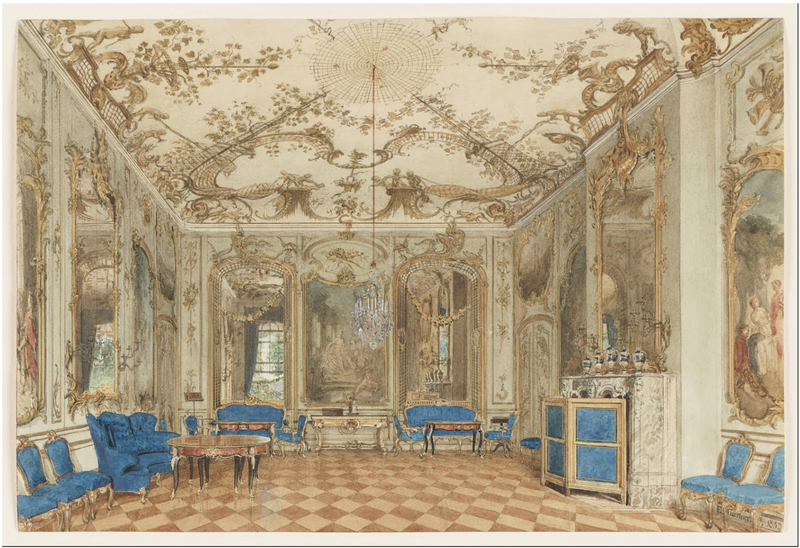 He has worked in various palaces and museums throughout Germany, including the picture gallery in Sanssouci Palace, Charlottenburg Palace, Castle Rheinsberg, The Bode Museum, and has recently been involved with the rebuilding of the Berlin Palace on Museuminsel. 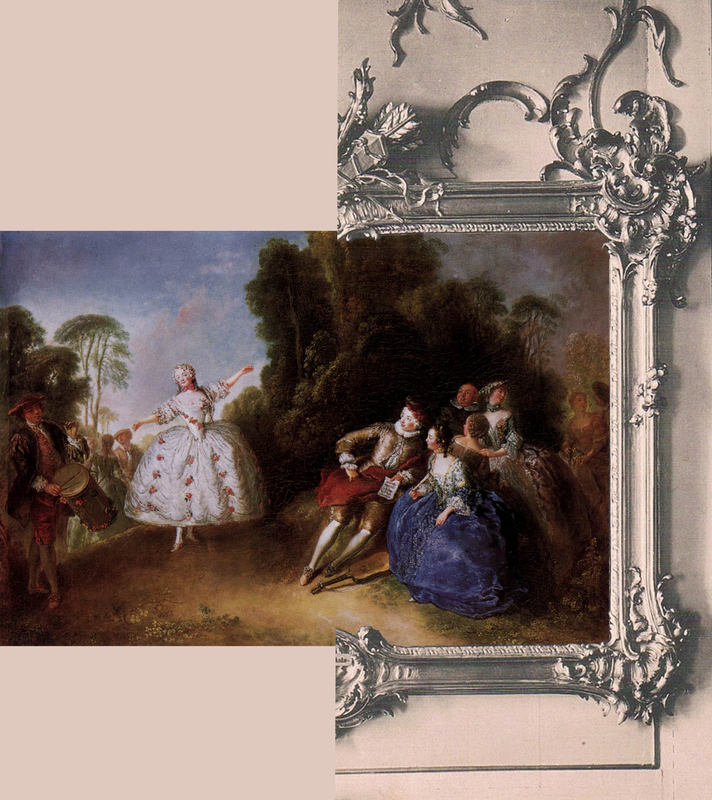 Mark Alexander: I think I’m right in saying that you’re very well known today as a specialist in the German Rococo style, and especially in the Berlin-Brandenburg style? Bernhard Lankers: Yes, that’s correct. 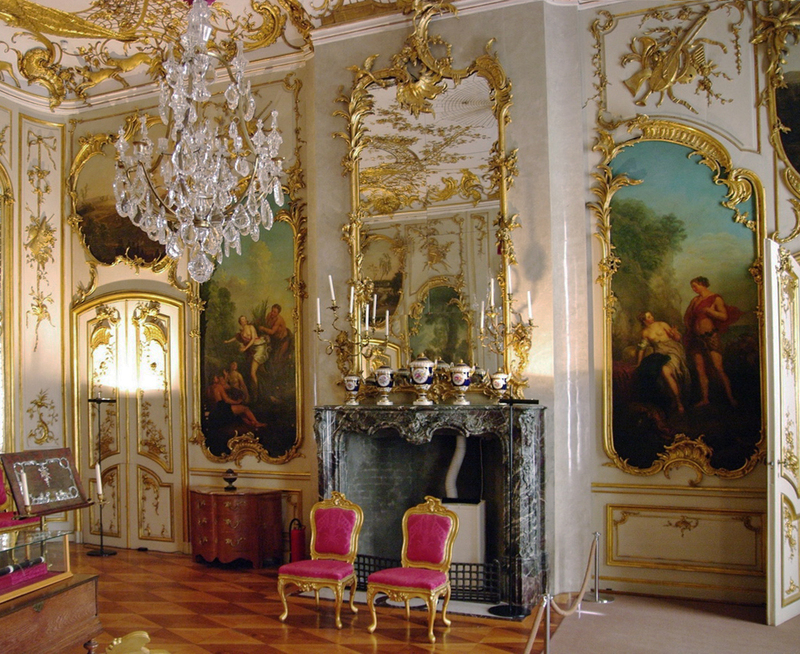 The Berlin-Brandenburg style is called ‘Friderizianisches Rokoko’ or, in short, the style of Frederick II. It is expressed with great virtuosity, but is also notable for its powerful, subtle and sensitive form. MA: How did you become a sculptor? BL: I think – as with many people who have a passion for their work – it dates from a very early age. 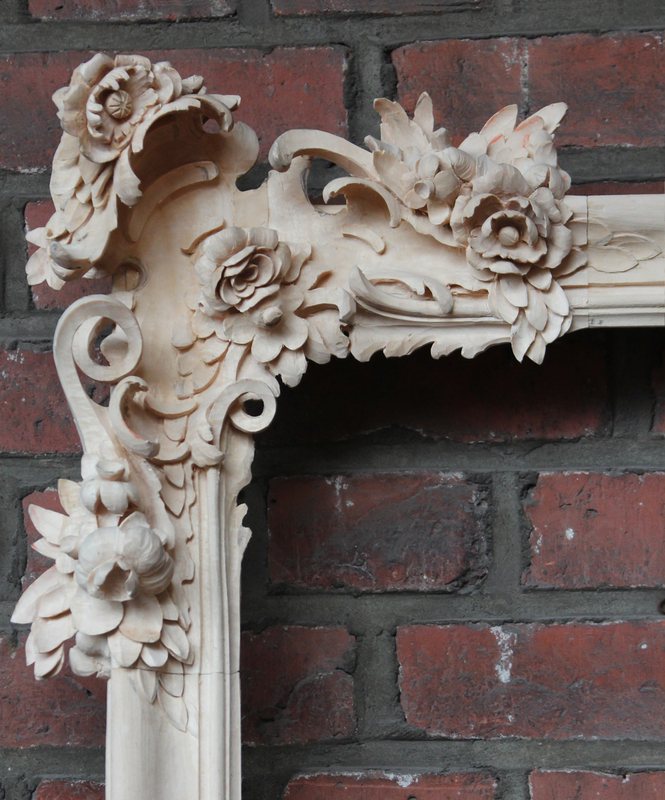 I had an interest in creative design and a love of the fantastic, and I was particularly drawn towards carving. It was amazing to me that there were these wonderful objects which seemed to have the power of nature, but were made by the hand of man. From this followed, among other things, a training in woodcarving in several workshops, focusing on different aspects of the profession. The most important of these was the College of Design in Munich, where I took the master examination in 1991. 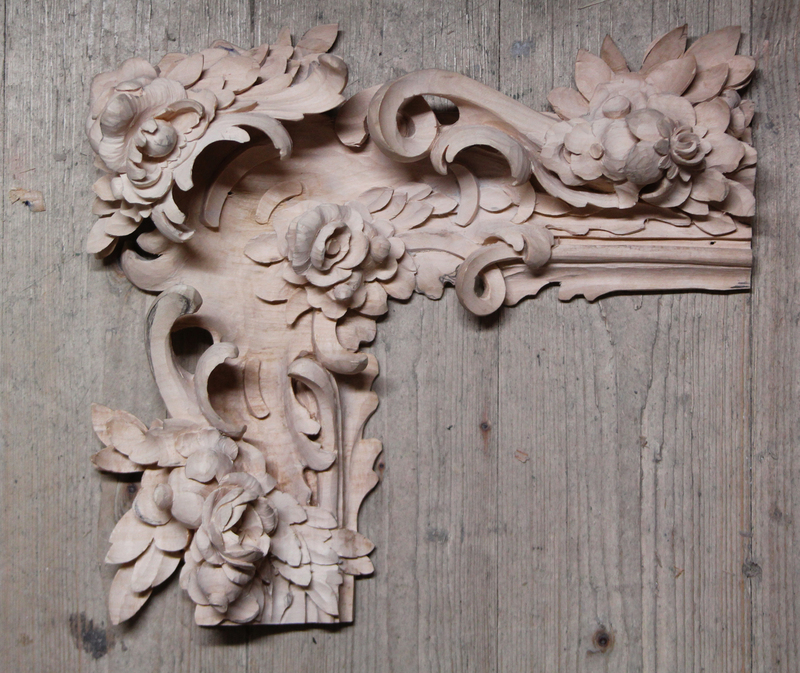 MA: So, from – I’m guessing – quite a general education in wood carving, you then began to specialize? BL: Yes, that’s true. 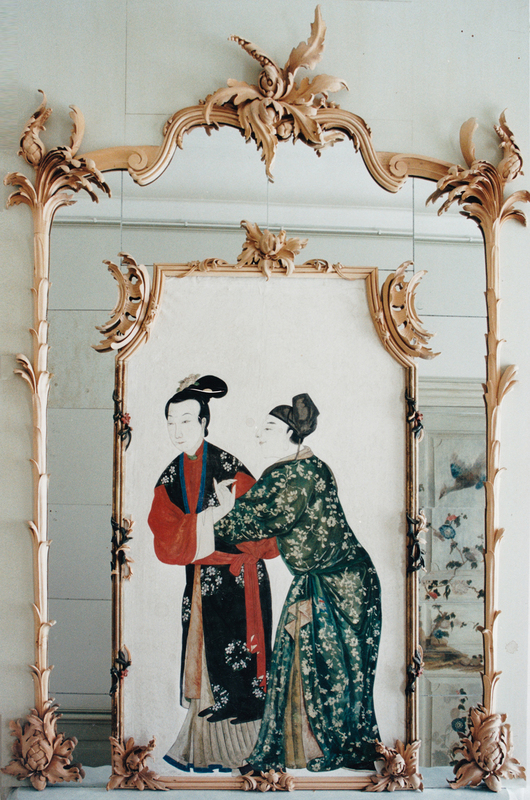 In the early to mid 1990s I worked for a restorer in Berlin, where I discovered the art of the 17th to the early 19th century – as well as the Friderizianisches Rokoko, which thrilled me. The incredibly high-quality of the objects in this style, their variety of form and rhythm, and the tension and credibility of the motifs, all appealed to me. 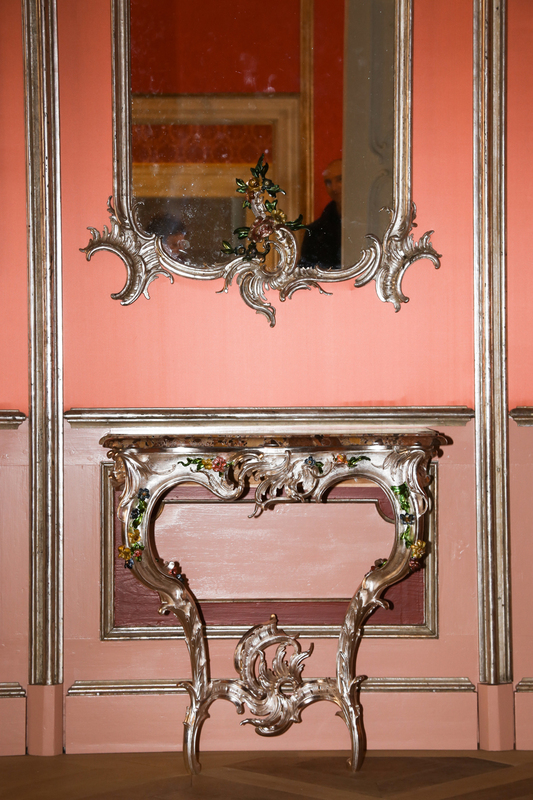 The ornament was no longer pure decoration but had become innately sculptural. MA: Who were the people working at this period whom you respected? – or perhaps it’s better to say, who inspired you? BL: Well, Frederick I, and Frederick II in particular, tried to get hold of all the outstanding artists and sculptors of the time to work for them. 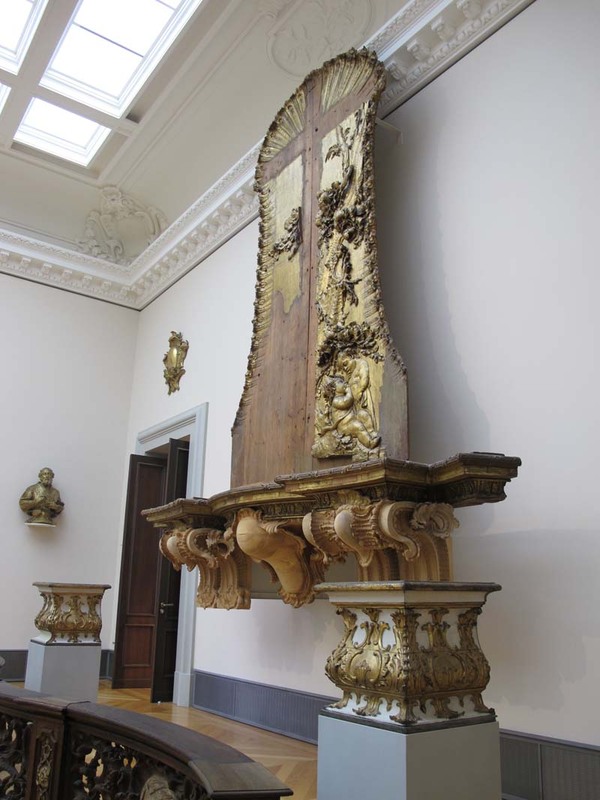 These are just a few of them: Charles King (a student of Grinling Gibbons), Johann August Nahl, Johann Melchior Kambly, Johann Christian and Johann Michael Hoppenhaupt. I wouldn’t want to single out one in particular; all of them are incredibly important to me in different ways. 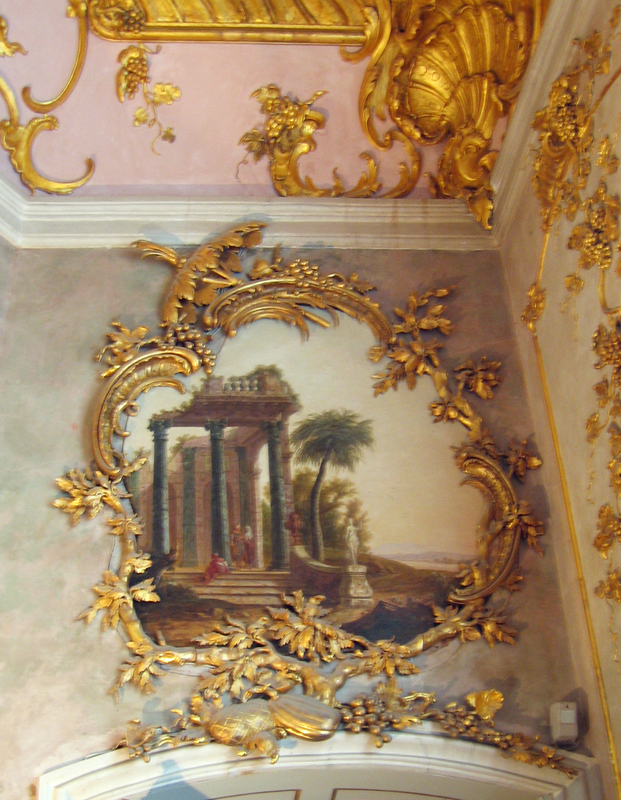 MA: You mentioned Friderizianisches Rococo; how does this compare with the Rococo style in the rest of Europe? BL: That’s a very difficult question, and perhaps too broad to answer here. But I can talk about the variations within Germany: every German-speaking region has its own variation on the style – all of which actually derive mainly from France. 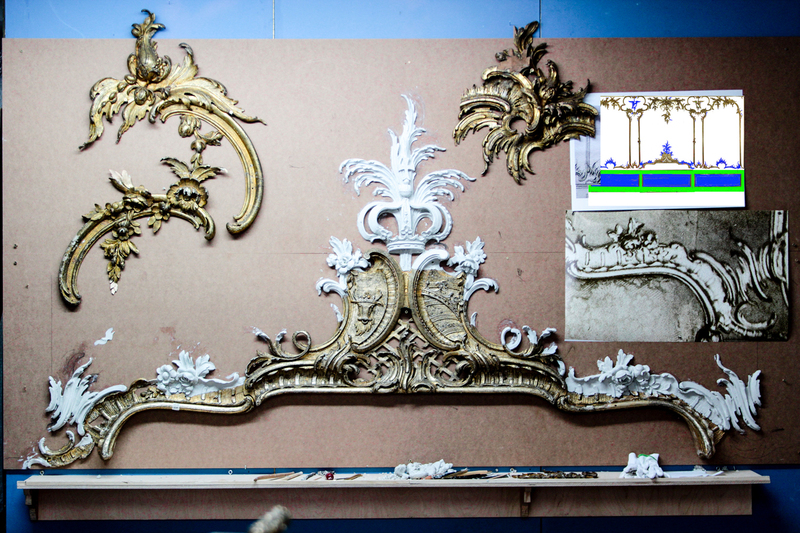 The Friderizianisches Rococo is often characterized by lighter motifs, and the use of – how can I put it? – the use of negative space as part of the design; it is more sculptural in its forms and is not just a subordinate decoration. Of course, these features sometimes appear more or less pronounced in one area or another, but I think one can say each region has its distinct idiom. MA: Am I right in thinking that the majority of castles around Berlin were built during this period? BL: No, not all them, but many were. MA: Can you describe what type of work you do for them? 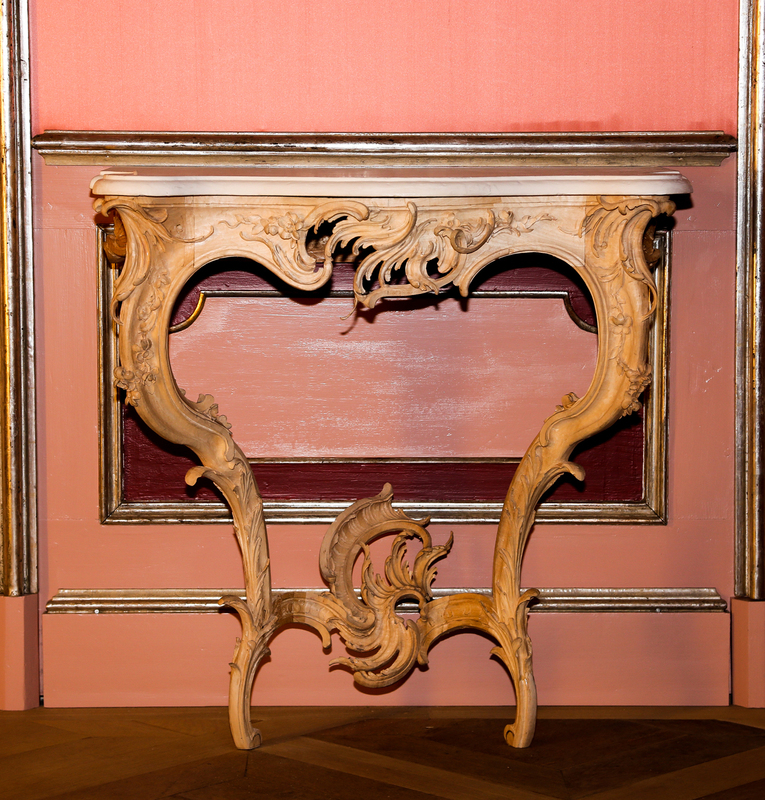 BL: It varies enormously, from reconstructing missing parts with the help of historical documentation, or the making of various elements for restoration; this could include work on picture frames, furniture, or interior features such as boiseries. 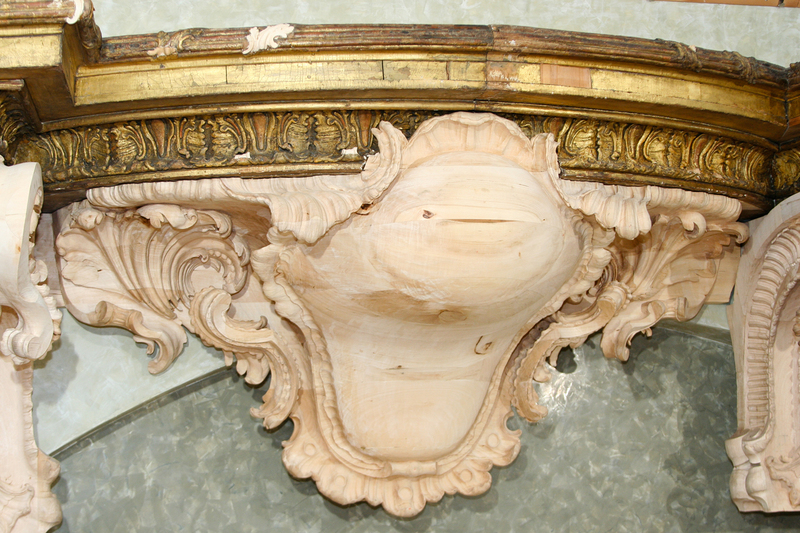 MA: Are the examples you’ve shared with us restorations or complete reconstructions? In Germany, many palaces and museums were destroyed in the last war; can it be that you are reconstructing losses which may be quite painful to confront? And if a reconstruction project is pending, how is this done? How do you get the necessary information? 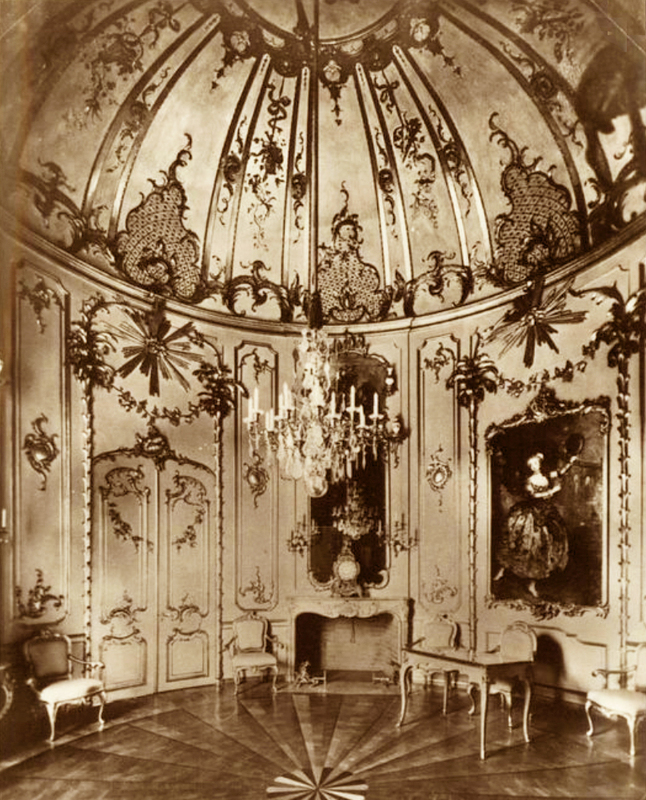 BL: Yes, unfortunately a great deal was lost during the war, and also during the period after the war: the Berlin Palace, for instance, survived the war with parts of it in good condition, but then it was totally destroyed during the late 1950s by the GDR Regime; so – yes – these projects can involve a great deal of pain and loss. As for how I find out enough information to be able to undertake a reconstruction: well, I often start by getting the necessary archives from the client, and these can include historical photos, descriptions, and notes on dimensions. In most cases, the rooms in which the reconstructions are to be installed are still preserved; then I can take the measurements on the spot and at the same time have the spatial context. MA: It’s a surprise – of course it shouldn’t be, but I can see around me not only what seem like original technical drawings, but also wonderful black and white photographs of these fantastic interiors. 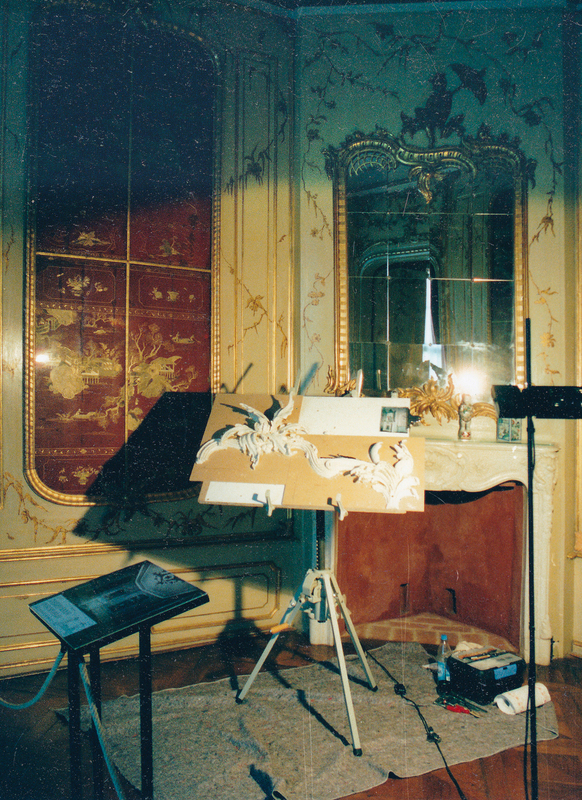 Often you have photos or drawings that depict entire rooms; how do you manage to read sometimes very small details from what can be poor quality photographs, in order to reconstruct a credible three-dimensional object? Please talk us through the process. BL: Well, my first step is to make a full-scale model, mostly from plasticine – and you’re right, it can be difficult. All I can say is that it comes from experience. I spend a long time looking for as much archive material as possible, to get as many viewpoints of the object as I can, and then I start; and it’s only really by starting that you can begin to answer these questions. It’s important to deal both with the formal language of the object, and also with the different style of the original sculptor – his signature, as it were. I try to understand and then to internalize the characteristics and tendencies of the individual, as they appear in his work. MA: This also seems to be an emotional process, then? When I watch you work, I can see that you are trying to understand the shape with your hands and with your whole body. BL: Yes, it is important to me to comprehend the form, and to achieve some inner concept of how the structure is articulated – I also need to be able to understand it in the context of its immediate environment. Then the next step is to bring all these things to life – for example, to create a flower and a leaf which can almost move and interact with each other – whilst still being completely faithful to the original. 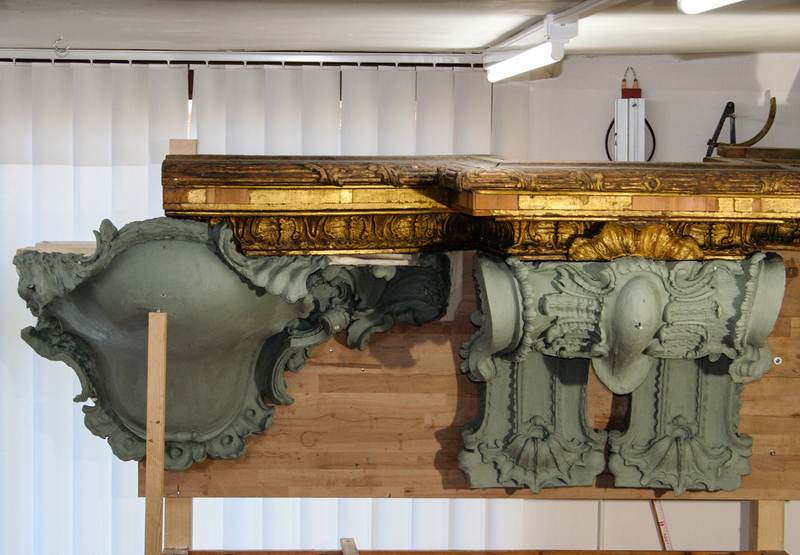 The original object is the is the absolute model at all times, whether we are conserving a monument, reconstructing an element of an antique piece, or creating a replica. MA: When I look around your studio, I see wonderful white models everywhere. Is that plaster? BL: After I’ve made the plasticine model, a plaster cast is taken from it. But first we either look at the plasticine model in situ, or the client or his agent or the supervising art historians come to my workshop. I always present a project in this way, and we examine the model and discuss every aspect of it to ensure it is correct in each detail, not only historically but also in its expression, until everyone is happy that the object has the accuracy – and the beauty – that we are looking for. MA: And what happens after the plaster casting? BL: Well, after that the process of carving it in wood begins. The plaster model is only made because plasticine is not a stable material. The carving can go on for weeks or months, and over that time the plasticine model can become distorted and misshapen – motifs that I’ve worked on for days can be lost with the slight pressure of a finger, or a moment of carelessness. 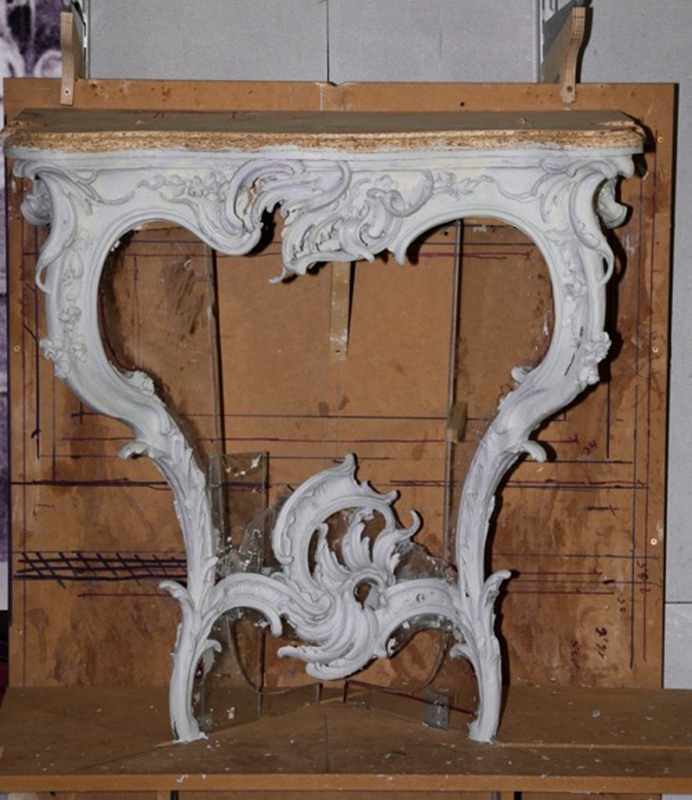 But if plaster cast is taken immediately after completion of the model, this is much more robust, and keeps the integrity of the version which was agreed upon. MA: I was in Berlin by 2008, and one summer I helped you for a few weeks with one of your large models of a capital for the Schlüterhof of the new Berlin Castle. 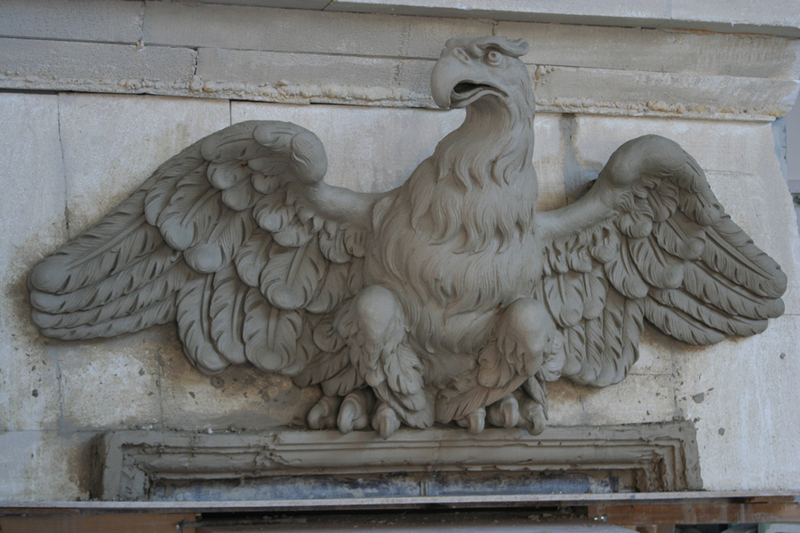 Later you also worked on clay models of some huge eagles for the Palace – but these weren’t destined to be carved in wood: they were eventually carved in stone. Do you also work in stone? BL: No, I don’t work in stone myself, but I was appointed by the then chief sculptor Matthias Körner and the art historian Dr. Kessler to assist in the reconstruction of architectural sculptures on the Berlin City Palace. 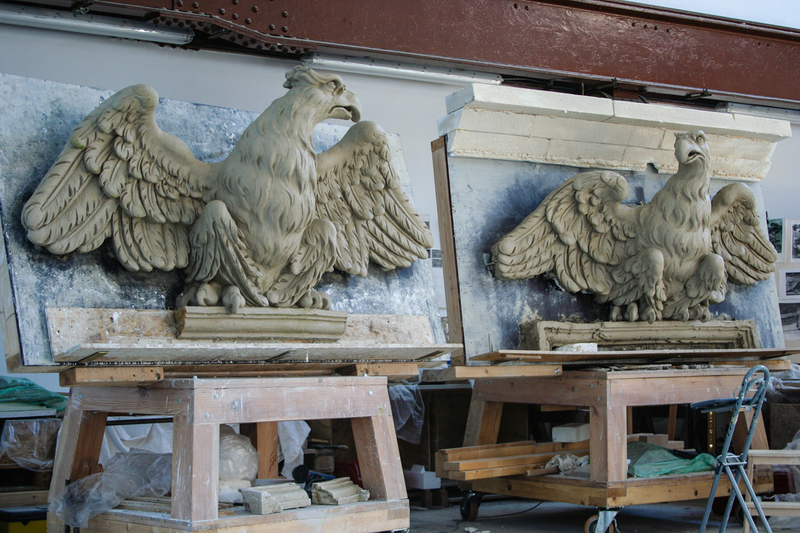 I modelled the eagles and all the other sculptures in clay, and then plaster casts were taken from these maquettes to serve as patterns for the stone versions, in exactly the same way as the wooden carvings were made. MA: Tell me something about your most important work. Can you describe for me one of the projects which has particularly interested you? BL: One of my first really important projects was the work I did on seven important frames by Johann August Nahl . 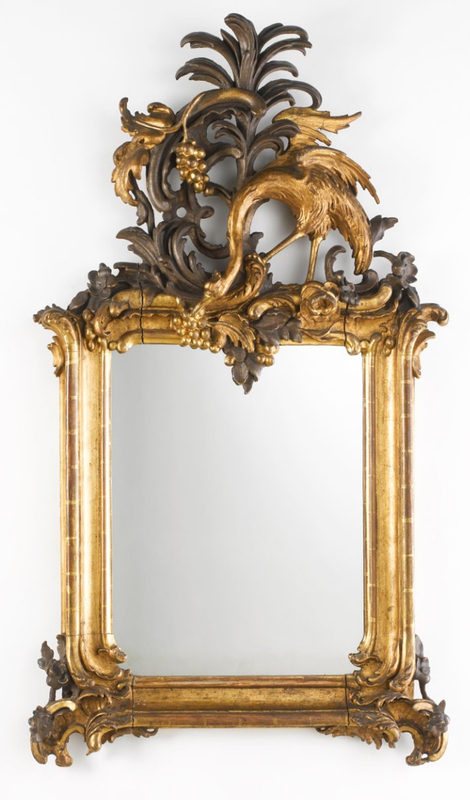 These frames originally came from the Potsdamer Stadtschloss, and contained paintings by Watteau, Pesne and Lancret. 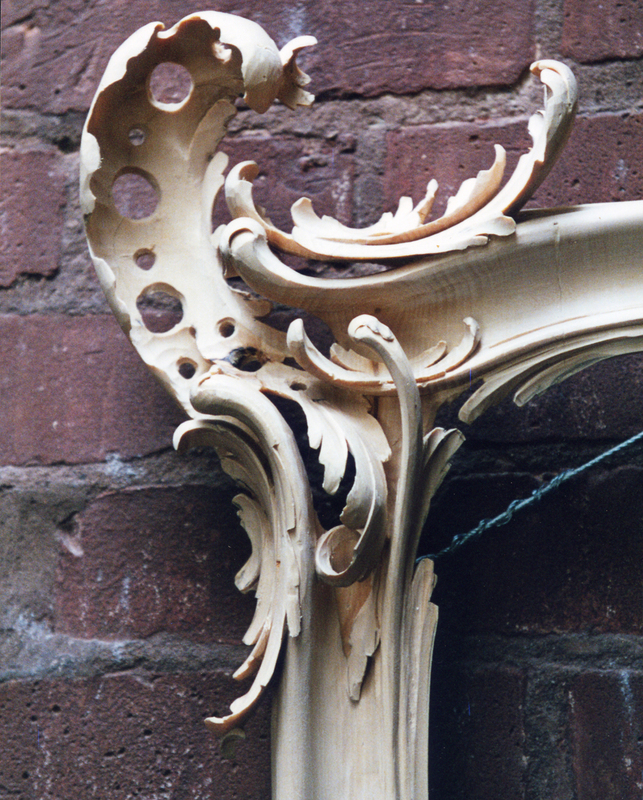 I found these frames fascinating; their design was so impressive, as was their realization in wood. 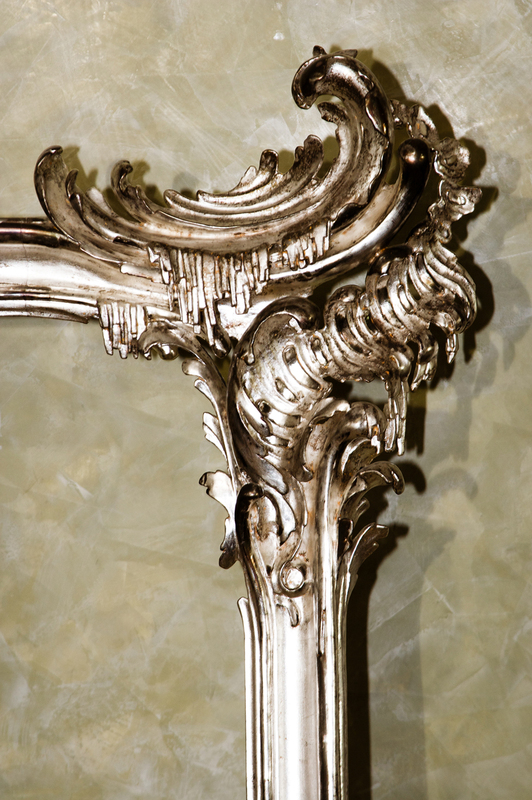 The typical corner on a Rococo frame has a kind of centre of power, around which the individual ornaments unfold in supporting rhythms. They flow, fall, rear up and are pushed outwards. Although your first impression may be one of chaotic movement, the whole form is actually ruled by great order and harmony. This is combined with the technical virtuosity of the carving – sometimes taken to such a pitch of fragility and flamboyance that the stability of the whole object seems in doubt. MA: What sort of period are we talking about? 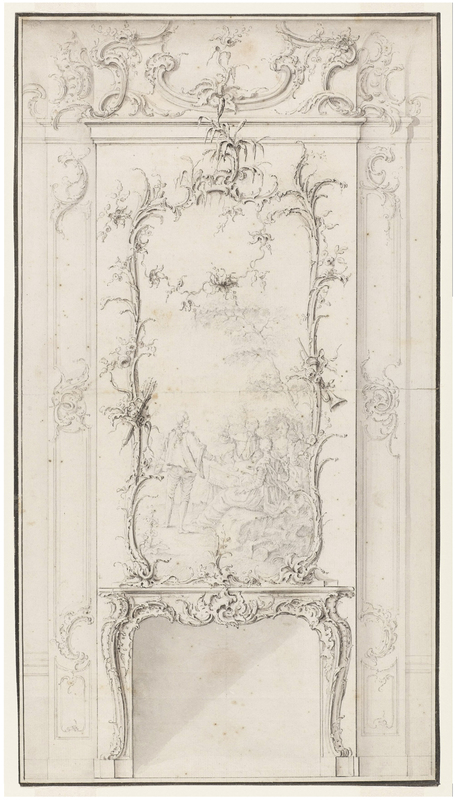 BL: This is during the full flowering of Friderizianisches Rococo – around 1743 to 1745. 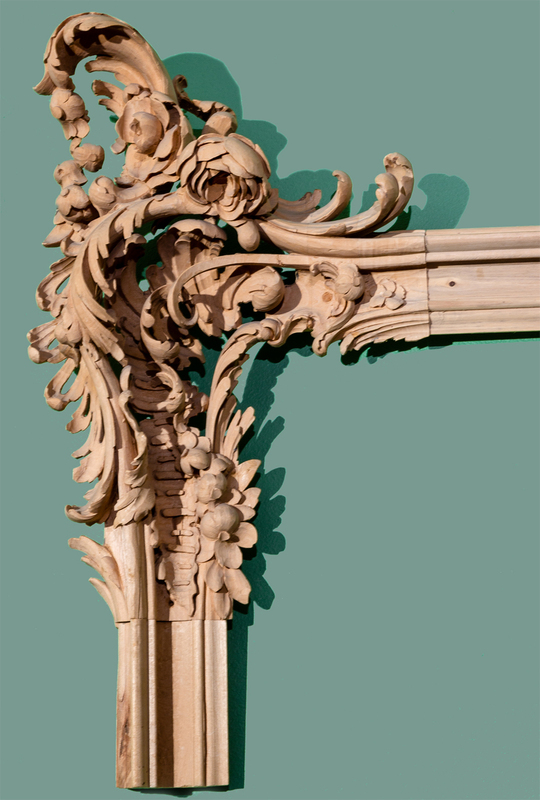 The Potsdam frames are especially outstanding works by Nahl, demonstrating his virtuoso technique; they comprise a total of seven frames, including five with large areas of carving missing, and two which had completely disappeared. I restored all the missing pieces meticulously, using the archival photos; I then reconstructed the two lost frames. 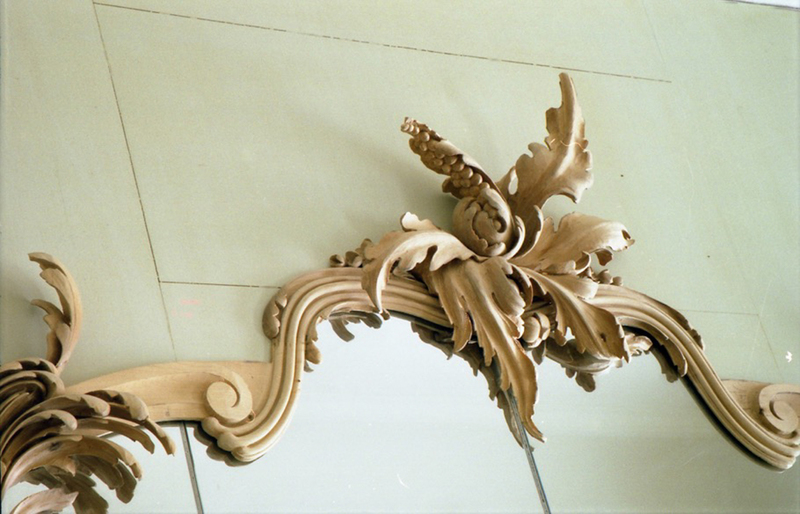 For both the restorations and reconstructions, the same kinds of wood were used as in the original frames, and the same animal glues were employed. 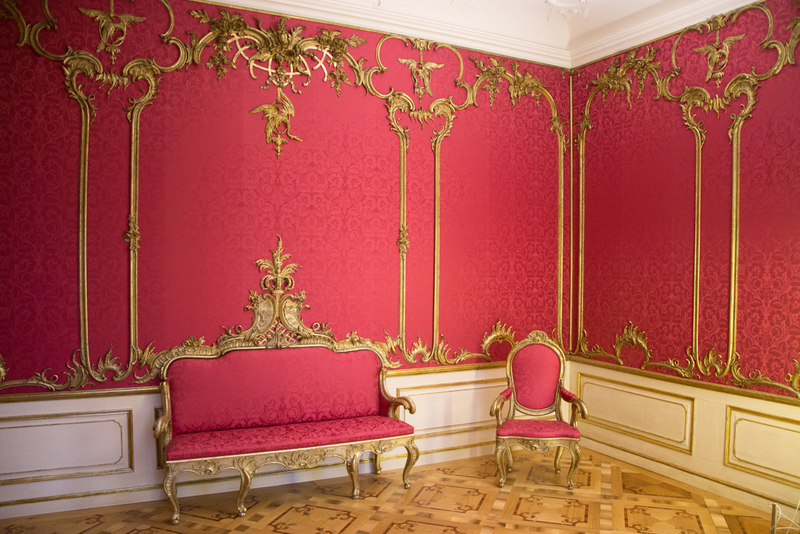 I am also very proud of my work for Schloss Mirow, Mecklenburg (birthplace of Charlotte of Mecklenburg-Strelitz, 1744-1818, later queen of George III of the United Kingdom), where I replaced and reconstructed numerous boiseries and pieces of furniture. These included outstanding works by Johann Melchior Kambly and Peter Schwitzer. 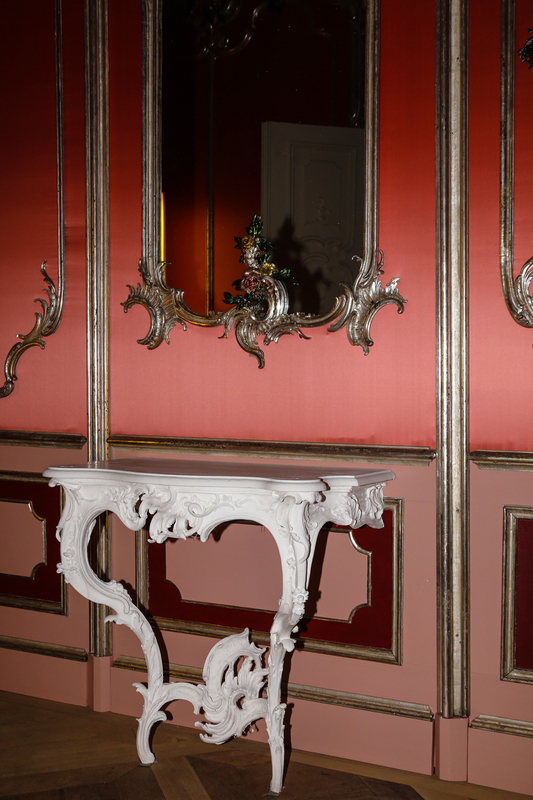 For example, I recreated numerous elements of the carved sofa crest (mentioned above in connection with my plasticine models) – in other words, the boiserie mounted on the wall over the sofa in the Red Audience Room. I also reconstructed a console table in the nearby Alcove Room (again, previously shown above as a plaster cast from the plasticine model). MA: I think we met for the first time in 2003 during one of my projects: The Golden Shield. 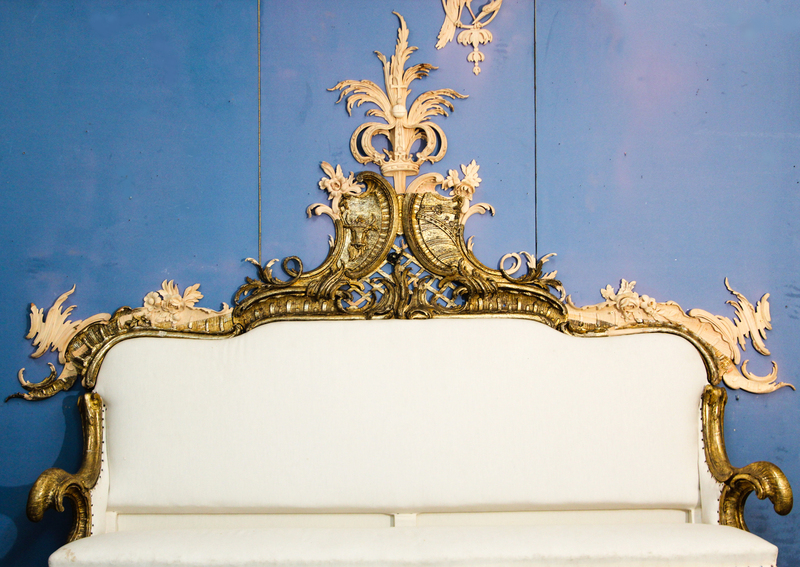 I wanted to make a model for this, and we discussed making it in your studio. You very kindly suggested that I work with you under your guidance. It was then that I first became aware of the Mannheim altarpiece – you were restoring parts of it at that point – and I was both very impressed and moved by it, especially the details of Adam and Eve as children. 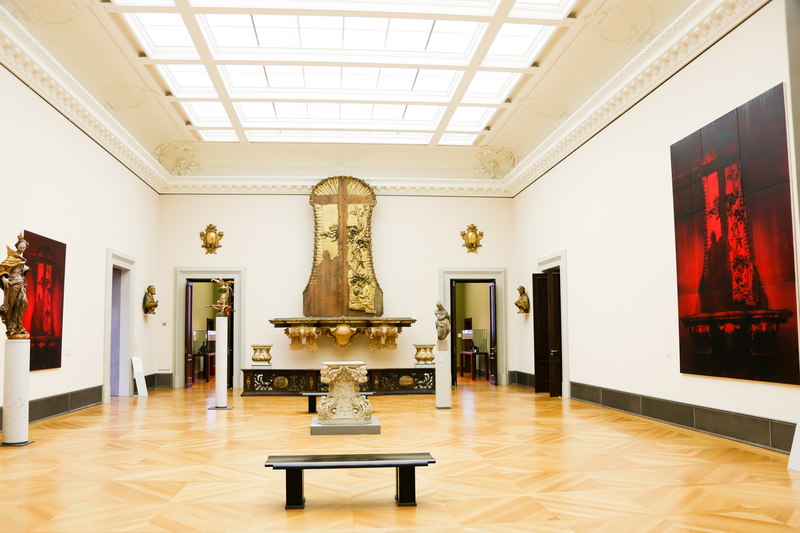 When the restoration was finished in 2005 it was placed in the Bode Museum on Museum Island. Although it’s no longer complete, I think it is a very powerful work – not only by the sculptor Paul Egell, but also by you. I think your work is incredible. Can you tell me something about the Mannheim altarpiece? BL: The Mannheim high altar is probably Paul Egell’s masterpiece. It’s a major sculpture in the style of the South-West German Baroque, on the cusp of the Rococo; its incredible plasticity and powerful, animated forms are extraordinarily impressive. It stood in the Cathedral of Mannheim, which was bombed by the allies in the Second World War and suffered a great deal of damage, as did the altarpiece. 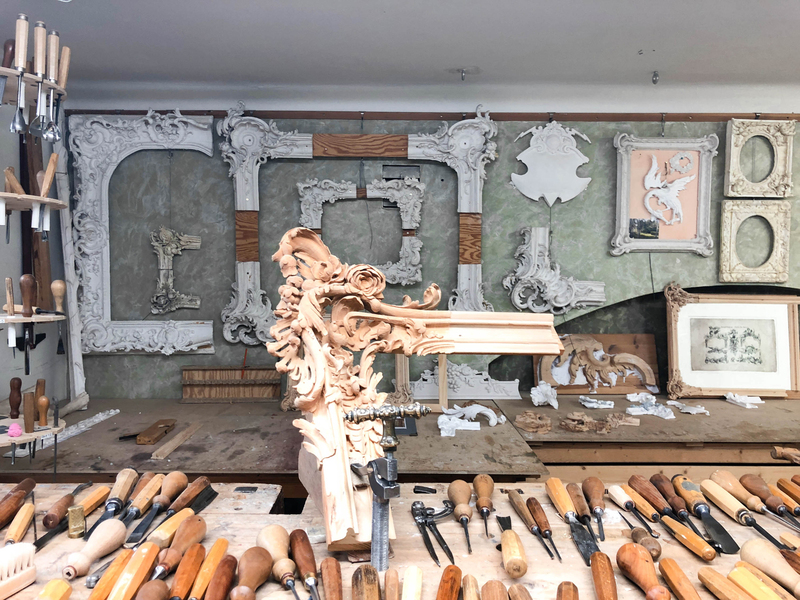 A short while ago, when restoration of the Bode Museum was nearing completion, it seemed fitting that the altarpiece should go on display there, and that it should be restored too, as far as was possible. 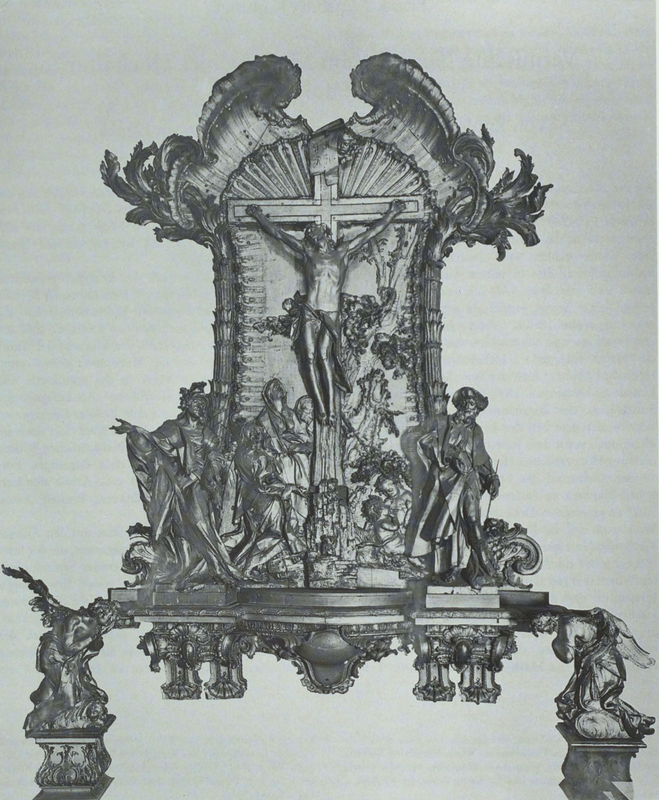 It was decided that the only element which would be completely reconstructed would be the console and its brackets, to give the altarpiece a base. Using all the archival records that were available, I made a plasticine maquette, and then carved the various elements in wood, fitting them around all the surviving pieces of the original work. MA: Eventually I made a series of works after the Mannheim altar called The red Mannheim; they were created for St Paul’s Cathedral in London, and later they were also shown in the Bode Museum next to the original; it was a great honour, not only to have my work in the museum, but also to have it on show next to your own work. BL: Yes, that was a great experience for me. Your artwork as a contemporary interpretation of this theme right next to the Mannheim high altar worked very well. MA: Do you only work in the area of historical restoration, and for museums? BL: No, I work for private clients too, and occasionally I’ve also been involved in various projects with contemporary artists such as yourself. I also do my own work. MA: What are you working on at the moment? 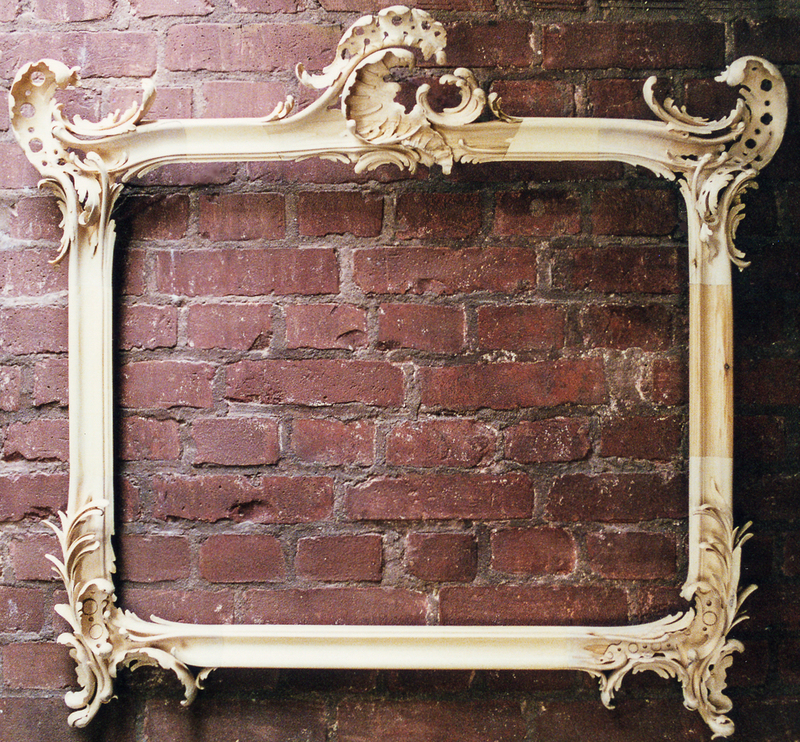 BL: I am currently working on a replica frame for a painting in a private collection. The client and I have agreed on a Friderizian design. MA: Bernhard, thank you very much for the interview. Mark Alexander is a British-born artist who lives and works in Berlin. He employs idiosyncratic designs for his frames, based on traditional models but always used in unconventional ways, and has become increasingly enthusiastic about their meaning for his work over the course of his many exhibitions.